Established in 2004, we are known for our extensive range of corals and invertebrates within the Sydney to Newcastle region. We are located to a more central location for our local and out of area customers, close to the Sydney/Newcastle freeway entry/exit at West Gosford. Our sleek modern store is a showcase for table top coral holding tanks and many beautiful displays. We also have a large range of Goldfish, Tropical Fish, Cichlids and Live Plants for the Freshwater Aquarist. All of our customers receive the right advice in purchasing and putting together a successful aquarium that works. We manufacture standard and custom aquariums on the coast, our motto being “Imagine it, we will design it!”. 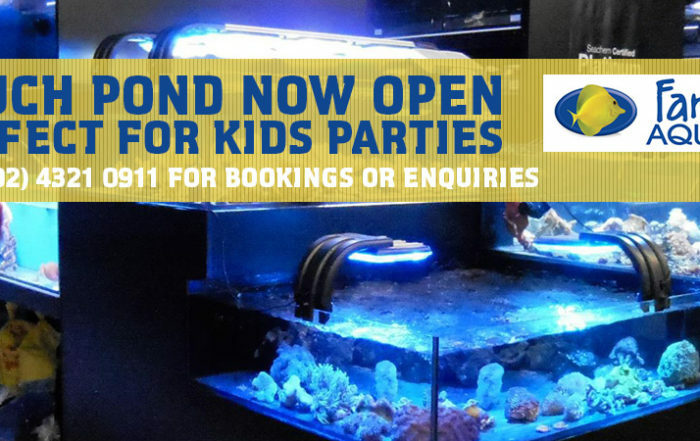 If you’re thinking of getting into the hobby or upgrading your existing aquarium be sure to contact us for a design and quote. We had a fresh water tank for many years and switched to a salt water tank two years ago. 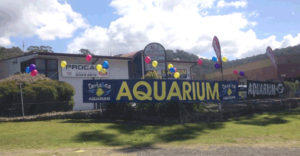 We were amazed with the spectacular fish that Fantasea Aquariums has been able to get for us. Thanks for the symphillia we brought today. I think it’s one of my favourite pieces in our tank. Thanks for the guys coming out to install the hydra lights on the tank. Looks amazing. Thanks for my new anemone Fantasea !!! Big shout out to the boys at Fantasea Aquariums. I over tightened my sump pipe today and broke it. They took one out of a brand new tank and sold it to me saving all my fish. These guys are legends.